The Lotus pond aerators are the widest diameter spray pattern. The Lotus is like an open flower on your pond. The Lotus pond aerators are the widest diameter spray pattern. The Lotus is like an open flower on your pond. 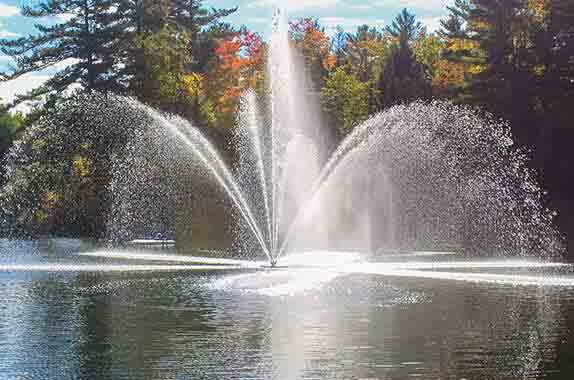 This Made in Canada Mirage Pond Aerators are sure to capture plenty of attention! Plug aerator in to outdoor receptacle.